In fact, we've identified one breakout tech stock that avoids the political games in Washington and could make you money. On June 15, China announced tariffs on $50 billion worth of American imports ranging from agricultural to luxury goods – the latest escalation in a trade war brewing between Washington and Beijing. China's announcement came after the White House threatened to levy an additional $200 billion in tariffs on Chinese goods – a move that would threaten the health of the Chinese economy. It's also locked into China's fast-growing streaming industry – a sector that's expected to grow by over 160% in just the next two years. According to Forbes, China has more than 500 million middle-class consumers – nearly twice the population of the entire United States. And analysts estimate that this number will balloon to well over 600 million by 2022. This demographic growth has given China the fastest-growing streaming industry in the world. 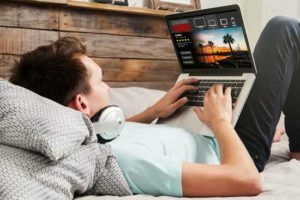 According to research firm IHS Markit, video streaming in China is on track to more than quadruple from $3.5 billion in 2015 to $17.6 billion in 2020. Much of this revenue growth is due to China's aggressive crackdown on rampant digital piracy – a content-distribution method that, until recently, accounted for the majority of content streamed in China. In fact, paid membership service revenue is expected to increase to $2.26 billion by 2020 – an increase of 500% over 2015 levels. However, that pales in comparison to the growing profits from sponsored content. According to consultancy eMarketer, digital video ads in China will overtake spending on traditional TV in China within three years, reaching $17.6 billion by 2021. Our tech stock sits at the crossroads of these growth trends and is positioned to generate immense returns. Using both paid and sponsored platforms, this tech company has been able to attract 500 million active users, 50.8 million of whom regularly pay directly for content. Having already grown revenue 57% year over year, our pick is expected to grow an additional 45% just in 2018. This kind of growth is why analysts have placed a high price target of $181 on our pick – a 389% increase over the company's current price of $37.00.